Mark May 10, 2019 on your calendar. That’s the date for Leadercast Live, the largest one-day leadership event in the world simulcast from Atlanta to hundreds of host sites including select Cineplex theatres. The annual event brings together leadership experts from a wide variety of fields to share their unique perspectives on developing and leading healthy teams. This year’s lineup includes news host Gayle King, chef and restauranteur Marcus Samuelsson and business author Patrick Lencioni. Seven Cineplex locations across Canada will livestream the Leading Healthy Teams event. There are four in Ontario, including the Scotiabank Theatre Toronto on Richmond Street West. Ticket price includes breakfast, lunch and coffee/tea. 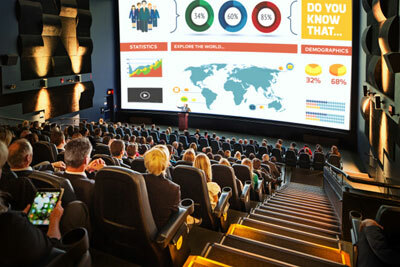 The all-day event is also an excellent opportunity to experience Cineplex’s ability to host corporate meetings and events , whether it’s as a single-theatre event venue or a multi-city, multi-screening auditorium satellite broadcast.